Translator helps you overcome the language barrier. Use your camera, voice, or keyboard to translate on-the-go, even without an Internet connection. 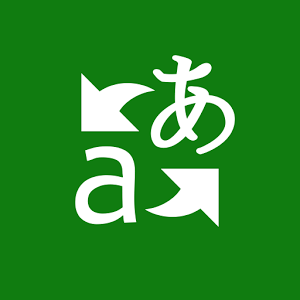 - Text translation - Enter text to translate into one of 52 languages and scripts. - Camera translation - Point your camera at signs, menus, newspapers — any printed text in 22 languages and scripts — then tap to see the translation. - Voice translation - Translate by speaking one of 18 languages into your phone. - Offline translation - Download a translation pack so you can translate even when you’re offline — handy when you’re traveling and you want to avoid expensive data roaming charges. - Text-to-speech - Hear translations from a native speaker. - History, search & favorites - Your translations are saved, so you can search through your history to find them later. Mark translations as favorites to find them even more quickly. - Word of the Day - Learn a new word or phrase everyday by pinning Translator to Start.